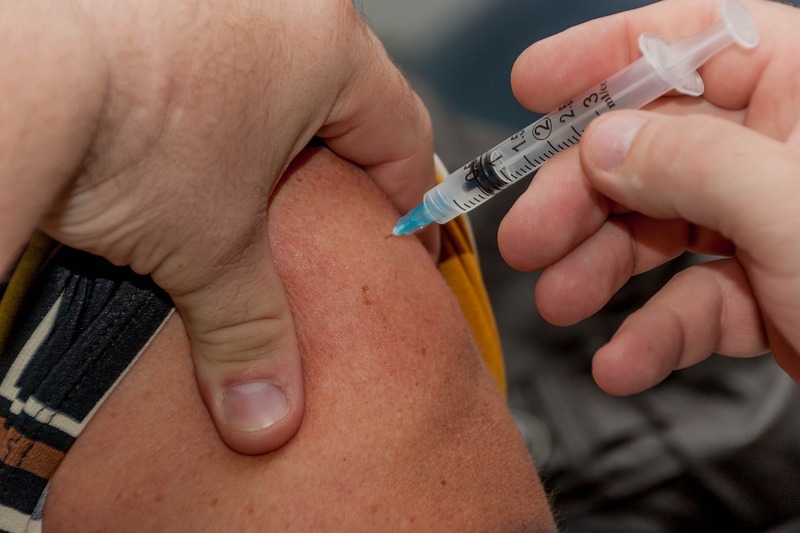 PHILADELPHIA (CN) – A Catholic hospital was justified in firing a worker when he could not scrounge up a clergyman to support his claim for religious exemption from the flu vaccine, the Third Circuit ruled Thursday. Paul Fallon brought his lawsuit last year in Philadelphia, alleging that his termination from the Mercy Catholic Medical Center amounted to religious discrimination. As noted in the ruling Thursday from the Third Circuit, Fallon does not belong to any particular religious organization. He started working at Mercy Catholic as a psychiatric crisis intake worker in 1994, and his opposition to the flu vaccine cost him that job 20 years later. Though Mercy Catholic had granted Fallon religious exemptions to its flu-vaccine policy in 2012 and 2013, the hospital changed its standards in 2014 and determined that Fallon’s 22-page essay about his “sincerely held beliefs” did not make the cut. Fallon included portions of the essay in his his complaint but balked when the District Court allowed his ex-employer to submit the entire document as evidence in the case. He appealed to the Third Circuit when U.S. District Judge Gerald Pappert dismissed his case, relying at least in part on the full essay. Affirming that dismissal Thursday, the Third Circuit agreed that Fallon’s doubts about vaccination benefits amount to a religion. “It does not appear that these beliefs address fundamental and ultimate questions having to do with deep and imponderable matters, nor are they comprehensive in nature,” U.S. Circuit Judge Jane Roth wrote for a three-person panel. “Generally, he simply worries about the health effects of the flu vaccine, disbelieves the scientifically accepted view that it is harmless to most people, and wishes to avoid this vaccine. In particular, the basis of his refusal of the flu vaccine — his concern that the flu vaccine may do more harm than good — is a medical belief, not a religious one. He then applies one general moral commandment (which might be paraphrased as, ‘Do not harm your own body’) to come to the conclusion that the flu vaccine is morally wrong. This one moral commandment is an ‘isolated moral teaching’; by itself, it is not a comprehensive system of beliefs about fundamental or ultimate matters. Roth also noted that Fallon’s belief system has little in common with traditional religions: no formal service, no clergy, no holidays, and no efforts at propagation. As for whether it was proper for the lower court to consider Fallon’s full essay, Roth found that Fallon opened the door to this evidence by quoting it extensively in his complaint. Fallon’s attorney, Alan Schorr of Cherry Hill, N.J., said they may appeal to the U.S. Supreme Court. “Mr. Fallon was never provided with a fair opportunity to explain his religious beliefs,” Schorr said in a statement. “He had, for the previous two years, submitted an essay of his personal beliefs which had been accepted by the employer. It was the employer that changed their policy, requiring any employee seeking a religious exemption to have a letter from their clergy. Andrea Kirshenbaum, an attorney for Mercy Catholic with the firm Post & Schell, has not returned an email seeking comment.